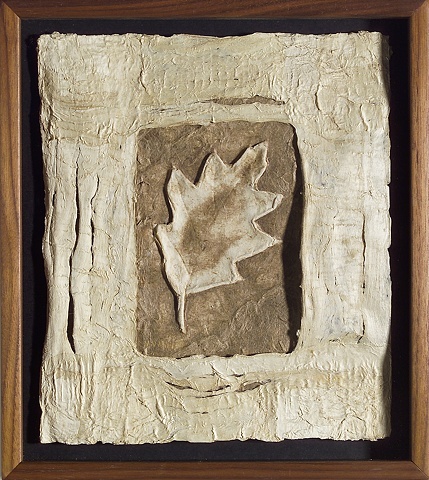 A plaster mold was used to prepare a kozo paper cast of a red oak leaf. The kozo casting is embedded in paper made from over-wintered Siberian iris from my garden surrounded by a kozo amate (bark paper) frame. The assemblage is mounted in a walnut frame, made by Will Lehmann.